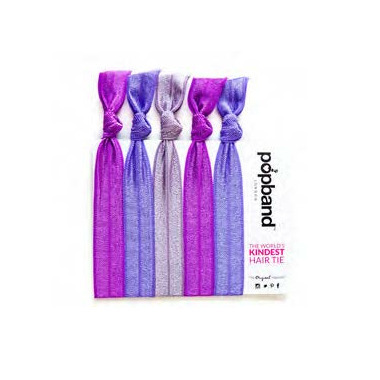 Popbands are delicious soft, stretchy 'no dent' hair ties that hold ponytails up tight, but still leave hair fresh and kink-free when you take it down! 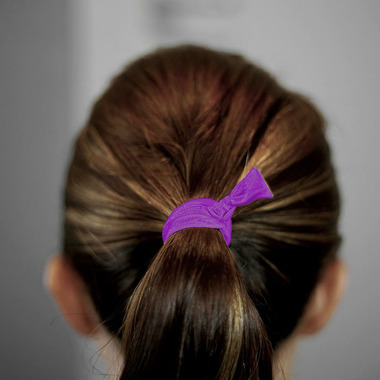 Plus they won't rip or damage hair like regular hair bands. When you're not using your Popband to hold up your hair, wear it on your wrist as a super-cute bracelet. Kind on your hair, cute on your wrist - Popbands are the fashion accessories you won't be able to resist. You'll never look at your old bobbles or scrunchies in the same way again! I bought these Popbands for my 8 year old special needs granddaughter. Her waist length hair tangles so she wears ponytails every day. Popbands don't pull or dent her beautiful hair resulting in a happy little girl!